For this week's Thursday Twister, I'm going to go to one of my favorite subjects -- swaps...no, not wife swaps, that is just plain nasty, ENGINE SWAPS! Help find the best swapped beasts around. 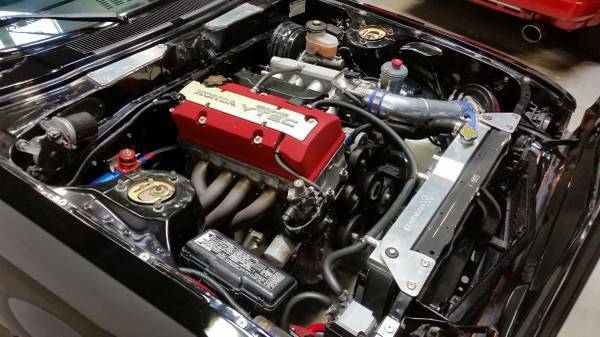 The swap I found is this 1977 Toyota Celica GT with a Honda F22C1 swap out of an AP2 S2000 offered for $35,000 in San Gabriel, CA. Yikes...that is pricey. Find something more affordable. There were a lot of cool swaps that turned up on the Atlanta Craigslist - but I'm going to go with this M42 into a BMW 2002. It's not the fastest or the cleanest or the most original, but I'm posting it anyway. Just because it gives the car a big power bump but the same exact "flavor" as the original. That Celica carries the Mini-Mustang theme a little too far with the Eleanor paint scheme, but I suspect its a fun driver. 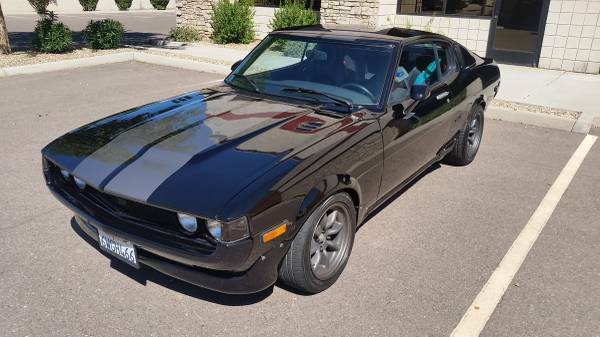 That's funny because I found this 1973 Celica w/ 350 LT1 last night and was going to send it as a tip. Similar car but built in a different direction. I like the price on this one MUCH betta...but the overspray and "2%" unfinishedness is sketchy. My personal favorite, electrical demon and all. Ive been watching the price drop and really hope I'm not tempted.